I am collaborating with Tide and Gain to bring you tips on how to keep your home safe for our little loving creatures. It is summer time and kids are not at school which means they are trying to get into anything they can get their hands on. Young children are explorers often by touch and at times they want to taste and put things in their mouths. 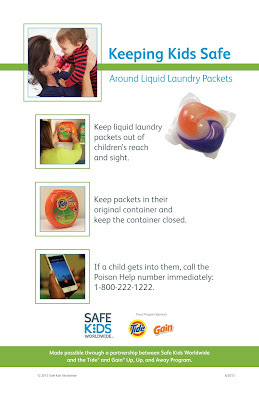 My son is one of those explorers, so I am glad that Safe Kids Worldwide, Tide and Gain have teamed up to teach parents about keeping kids safe around laundry packets. With liquid laundry packets gaining popularity, now used by 20 percent of U.S. households (including ours), parents need to be aware of this emerging risk for children. Did you know that between 2012 and 2013, more than 700 children who were 5 and under experienced serious effects as a result of liquid laundry packets, with the impact greatest among 1 and 2 year olds? In fact, the poison centers received more than 33,000 calls from 2012 through May 2015. Parents we must do better! As parents who want to keep the house clean and organized, we must be aware of where we store our hazardous cleaning products. 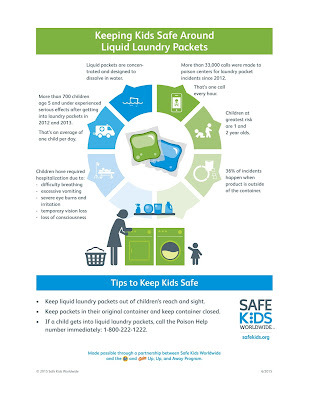 If children get into laundry packets, the health risk can be significant. These powerful packets contain highly concentrated detergent that may cause loss of vision, severe eye burns, difficulty breathing, excessive vomiting...all in all not something we want our children to experience. Whatever you do with your cleaning supplies, make sure that you keep them Arriba y Lejos -up and away from our little people and even our puppies. High and up behind a locked door. Don't keep them on the ground close to make it easier on you. Lock Laundry rooms - they often get forgotten about, because we think "it's the laundry room, the kids won't come in and play in here". 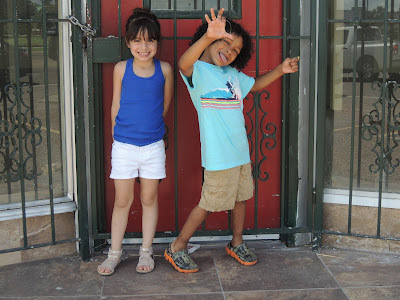 Well, lets think about this again, it's summer time and lets say they want to play hide and go seek in the house...a good place to hide is the laundry room and if your child is anything like mine. He wants to discover new things and may find that the liquid laundry packets looks cool and smooshy, just never know what they will do with it. All opinions expressed are my own. Thanks to Tide PODS & Gain Flings for sponsoring this post. More information can be found at P&G.